Free tickets for the Floyd Mayweather Celebrity Basketball Game at the Hard Rock will be available Saturday night for Atlantic City kids in seventh to 12th grade. Kashawn McKinley will be at the Hard Rock’s big guitar at 6 p.m. handing out 300 tickets on a first-come, first-served basis. McKinley said he reached out to Atlantic City’s Police Athletic League and the Boys & Girls Club, along with going around the neighborhood asking kids if they want to go to the game. 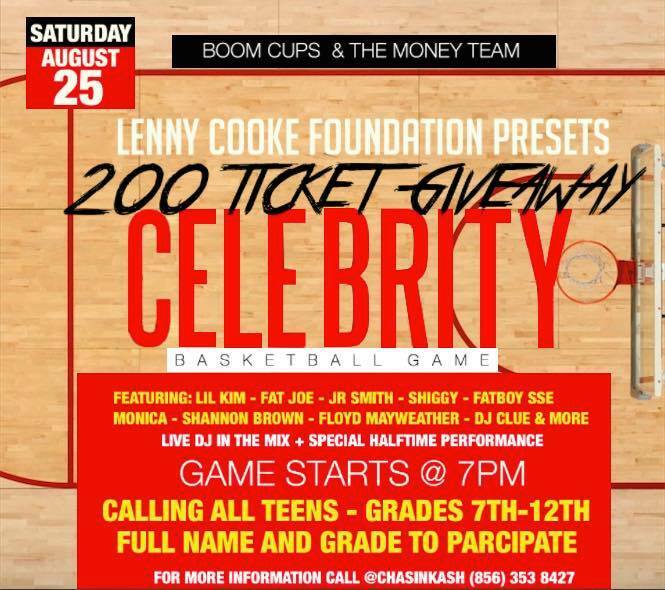 The game is set to begin at 8 p.m. in the Mark G. Etess Arena, and will include Lil’ Kim, Fat Joe, Biz Markie and several reality TV stars.